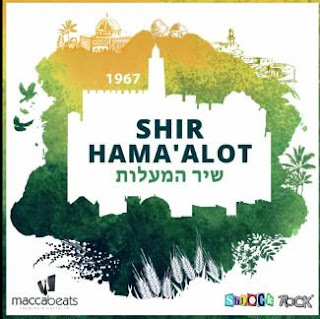 Capping a month of postings with a Jerusalem theme, we're getting ready to welcome Shabbat with a unique collaboration of two a cappella groups, The Maccabeats and Shlock Rock. To commemorate Jerusalem Day, they teamed up to sing the psalm that is usually sung to star the Birkat Hamazon (Grace after meals), Shir Hamaalot (Song of Ascents). This version is based on Billy Joel's hit song The Longest Time.